Last year I kind of started a tradition of making myself a blanket with yarn that Keith got me for my birthday. 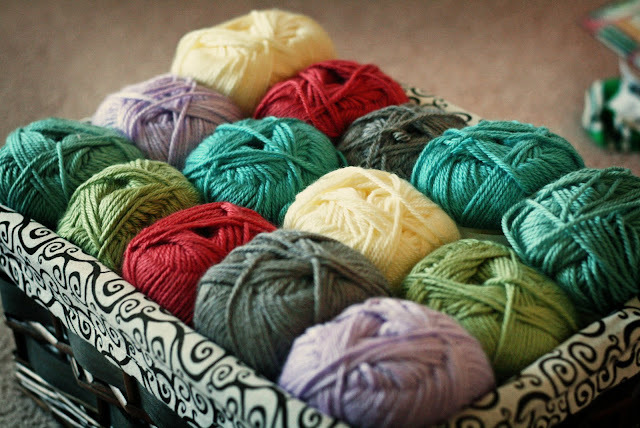 I'm always buying yarn, but I never really make anything for myself. 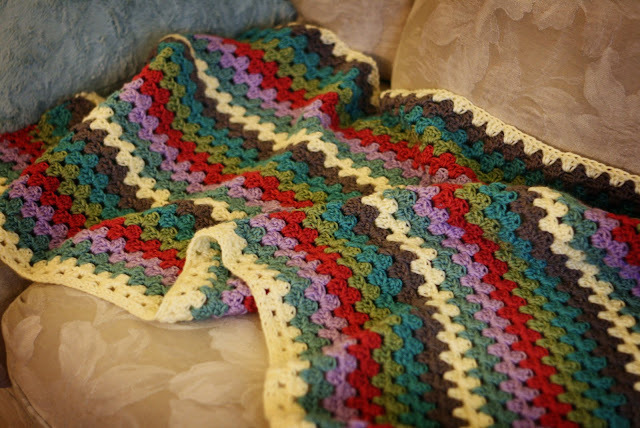 So when Keith surprised me with a ton of yarn last year, I decided to make myself a blanket. This year, he took me out & told me to get what I wanted. 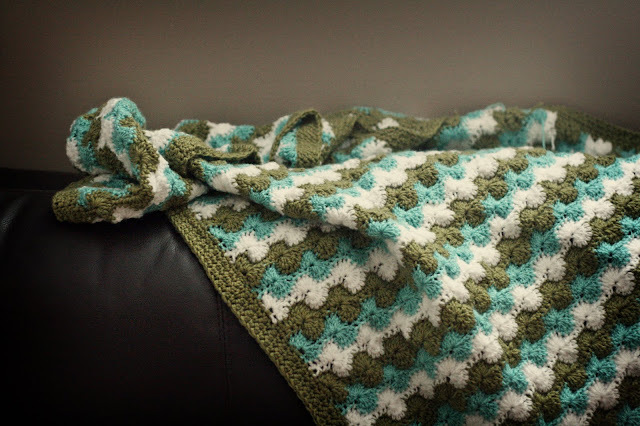 I picked out 7 different colours and decided to make another blanket. 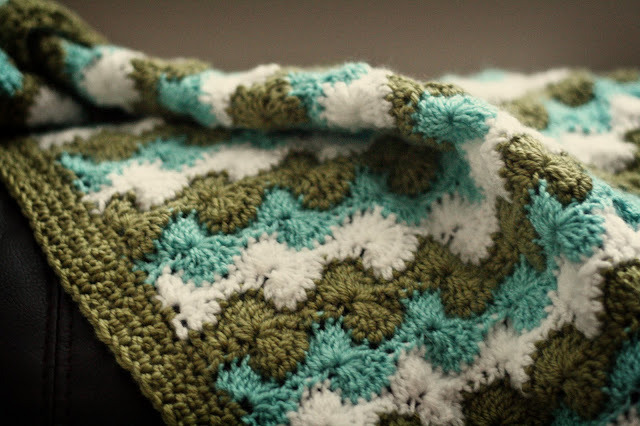 But it took me a while to figure out what kind of blanket to make. 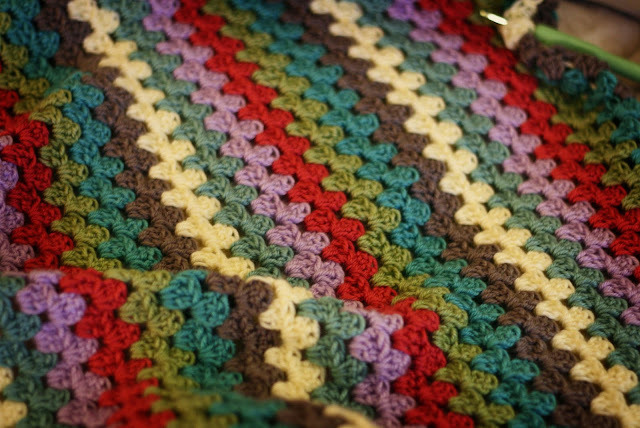 I've made a few different crocheted blankets in the past, and kind of wanted to do something different. 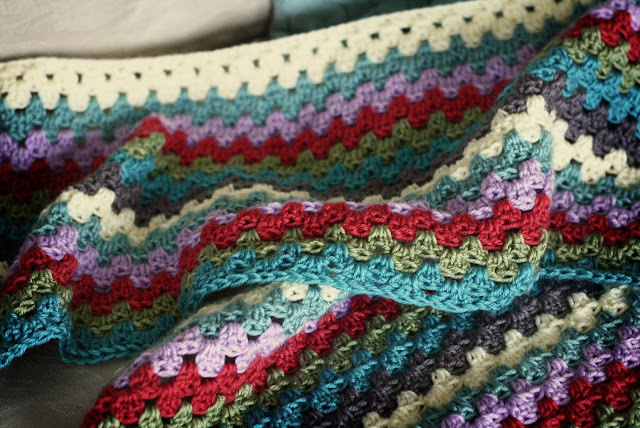 I decided on the granny stripe blanket, which is pretty similar to a few blankets I've already made, but a bit different. For those of you who knit or crochet (or really make anything! ), do you ever make something for yourself? Or are you always giving things away &/or selling them? The only things I ever really make for myself are blankets, and I love my growing collection! So pretty! I love the colours you chose! I've knit myself a couple blankets, but they're both pretty small. I've also knit myself a big shawl, two small ones, a neck warmer and a hat. I think that's it! 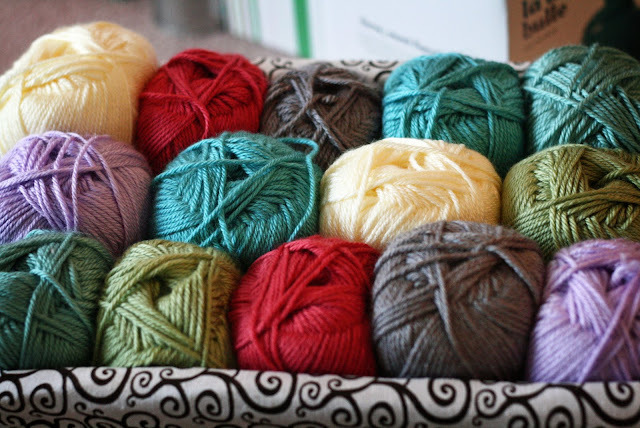 But in the grand scheme of things, with the sheer number of things I knit, that's really not that much. What a cute tradition! Both of your blankets are really beautiful! I can't wait for you to teach me how to knit on our road trip. just sayin. Wow! You are talented! I may know how to sew but when it comes to knitting and crocheting, I know nada! I love your birthday blankets Holly!!! Beautiful! I especially love the last one, what an interesting stich.